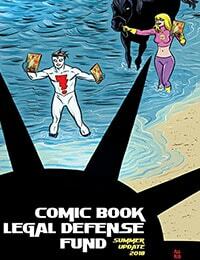 Comic Book Legal Defense Fund Summer Update 2018 Average 0.00/5 - out of 0 total votes. CBLDF is expanding access to comics and fighting censorship -- learn all about our current work in this update! Featuring comics about CBLDF's latest work, interviews with industry supporters Gene Luen Yang and Ted Adams, and a first look at the SDCC Auction. See how your support makes a difference!